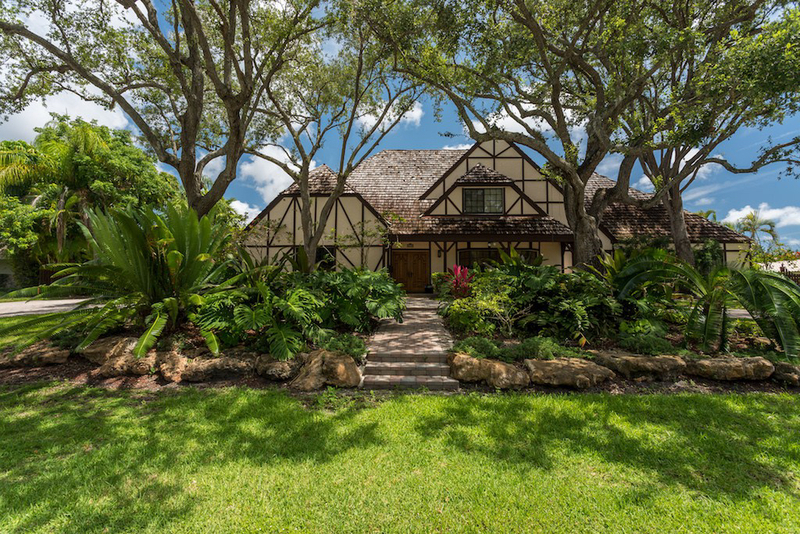 Proudly own this unique and beautifully designed, updated & expanded two-story Tudor in Pine Bay Estates in Pinecrest School District. So much home for the money. This traditional beauty features 5 bedrooms, 4.5 baths, 2 masters with gym-office, children’s wing, grand media room with custom built-ins, moldings & mill work including an open breakfast room adjacent to a perfectly outfitted cook’s kitchen with granite/wood cabinetry and Wolf appliances. A resort-style pool with large covered terraces provides plenty of space for casual or formal entertaining and family fun. Impact windows & doors, gorgeous wood and marble floors throughout. A two-car garage and large laundry room provide plenty of storage. Located in upscale Coral Gables’ neighborhood of Pine Bay Estates with roving security patrol. Impressive half-acre lot shaded with towering oaks. So many fine details–a pleasure to show and easy appointments. Call to today!